This one really surprised me! 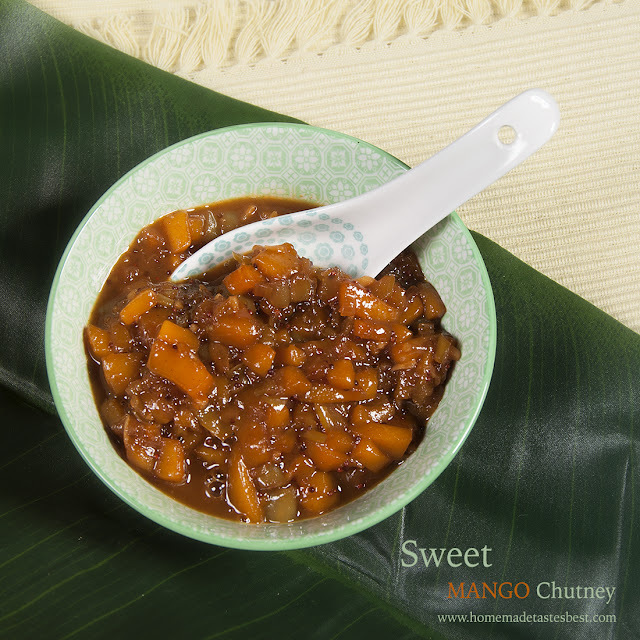 A very fresh and tasty chutney from Goa again has nothing to do with the Übersweet thick mango you might know and that you can buy premade in jars. 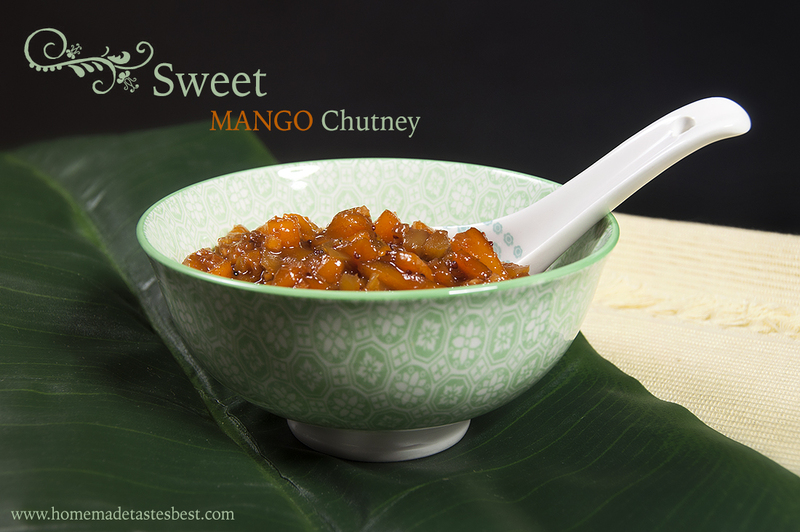 It’s much more fresh and i must say that i start to like Chutney since i made this one. 1. Peel the mango and remove the pit, cut in small pieces and combine with the lime juice. Set aside. 2. In a small pot heat up the oil to middle heat. Add the Shallots and bake for about 2 minutes. Add the garlic and spanish peppers. Stir again for another 2 minutes. You will see it all glaze. Don’t let it become too brown. Add the Black mustard seeds and Coriander powder and stir well. 3. Add the chopped mango, Coconut blossom sugar, white wine vinegar, some salt and ginger. Put the heat very low and let simmer for about 10 minutes. Add 1 tsp of Soya Lecithine.....you will see the sauce thicken now. 4. Turn off the heat when most of the moist is gone. Let the Chutney cool down and preserve in a well closed jar. You can preserve it up to 1 week (non opened) or 3 days when opened. I think i will make this again soon as it was so so tasty!